We are excited to bring you an absolutely stunning handmade feature today courtesy of b/perrino. After many years as a fine art photographer, Barbara Perrino decided to direct her creativity towards designing and making things that can be touched and used for warmth, as well as visual pleasure. 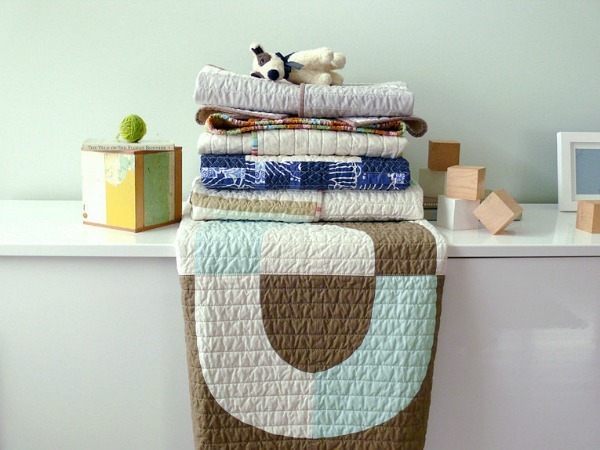 Her baby quilts offer modern design with built-to-last, all cotton construction and are machine pieced and quilted with hand-stitched binding. Although the designs may be repeated, no two quilts are exactly alike - custom colors are also available. If you are looking for the perfect gift for any new bundle of joy, please visit b/perrino to view their entire collection of modern quilts + designs.